Do you want to enjoy the “magic” of Disney without spending a fortune? Believe it or not, there are free things to do in Disney World, so you’re in luck! When luxury hotel accommodations aren’t in your family vacation budget, you can still get a “taste” of Disney’s most lavish resorts, even when you’re bunking at a Value category property. 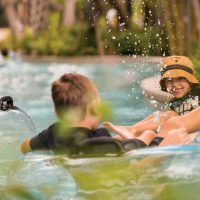 For less than the price of a light-up toy, you can treat the kids to these fun, family-oriented activities — no theme park passes required. For visitors who want to sample Pacific island culture, Disney’s Polynesian Village Resort, a Deluxe category Disney property, offers free hula lessons, famous Dole Whip frozen pineapple dessert (fee) and a nightly tiki torch lighting ceremony. Hula lessons are held Tuesday through Friday at 3:45 p.m. in the resort lobby, while delicious Dole Whip non-dairy treats are available at a self-service station at Capt. Cook’s, a counter-service eatery, which is open 24 hours. When the sun goes down, you can kick back on the scenic beachfront, where kid-friendly Disney Movies under the Stars are screened nightly. Meanwhile, you’ll enjoy a prime view of the evening Electrical Water Pageant (one of the many free Disney attractions), followed by the Wishes Nighttime Spectacular fireworks show at Magic Kingdom. 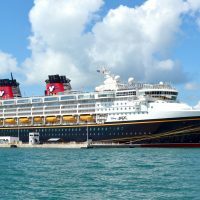 While a number of Deluxe category Disney resorts offer a scenic outlook of the nightly festivities, the beach at the Polynesian — overlooking the Seven Seas Lagoon and with the Magic Kingdom as a backdrop — presents a truly magical setting. Does your family dig searching for hidden treasure? At Disney’s Wilderness Lodge, another Deluxe category Disney accommodation, curious teens and adult travelers can take a fact-filled Wonders of the Lodge tour, led by a resident Ranger, while those with younger children can pick up a tip sheet at the front desk and embark on a self-guided Hidden Mickey property scavenger hunt. If you’ve never visited the stunning Northwoods-style property, designed to evoke the feel of famous American National Park lodges at the turn of the century, you’re in for a visual treat. Lodge tours are held Wednesday through Saturday at 9 a.m. and meet in the main lobby. At Disney’s BoardWalk Entertainment District, proximal to Disney’s BoardWalk Inn, Disney’s Yacht Club Resort and Disney’s Beach Club Resort, and Walt Disney World Swan and Dolphin Resort, all Deluxe category Disney properties, kids and their parents can watch free Disney attractions such as nighttime shows put on by professional clowns, mimes and jugglers, play old-fashioned midway-style games (minimal fee), grab a slice of pizza or an ice cream cone, or get their faces painted. When the weather doesn’t cooperate, take the resort monorail to The Game Station, the sprawling arcade at Disney’s Contemporary Resort. For as little as $5, you can purchase a card good for use at over 80 games and amusements, which operate on a points-per-play system. Afterwards, kids can trade in credits for take-home treats like candy, Play-Doh and stuffed animals. While you’re visiting the fourth-floor concourse, be sure to stop by Contempo Cafe, where you’ll find creative cupcakes and other delectable desserts to-go. Disney’s Port Orleans Riverside Resort, a Moderate category Disney property, and the Cabins at Disney’s Fort Wilderness Resort, a unique backwoods resort, are in the middle, rather than towards the high-end in terms of Walt Disney World Resort accommodation affordability. For families on a tight budget, however, such rates (anywhere from $180 to $560 per night) may feel extravagant. For less than the cost of a trip to the movies, you and the kids can enjoy the great outdoors at these rustic resorts as you fish for bass, bluegill and catfish. Fishing is catch-and-release style, and poles are rented by the half-hour or by the day. Bait is available, but bring your own bug spray. Rental hours at the Fishin’ Hole at Ol’ Man Island at Disney’s Port Orleans Riverside Resort are 7 a.m. to 2:15 p.m. At Disney’s Fort Wilderness Resort, poles can be rented from the Bike Barn between 9 a.m. and 5 p.m. If you’re sticking around for dinner, you can take advantage of a free character sing-a-long with Chip ‘N Dale, too. The show begins nightly around 8 p.m. (campfire lighting at 7:30 p.m.) and is open to guests of all Walt Disney World Resort accommodations.